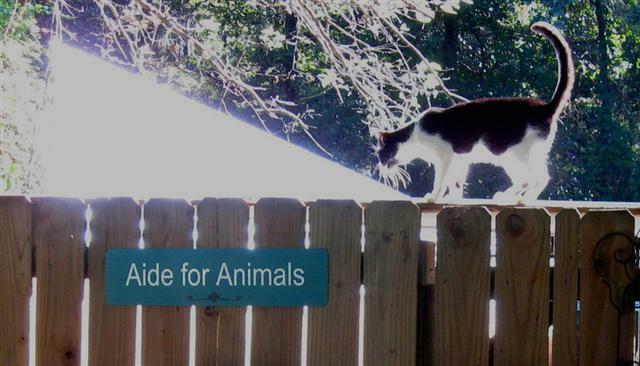 Aide for Animals Sanctuary is a small No-Kill, Limited Admission, non-profit, 501(c)(3) animal welfare organization, adoption center, assisted living & retirement home for healthy (non contagious), domestic cats and dogs. There are many once unwanted animals that depend solely on us for their food and medical attention, living out their lives at our shelter; some are disabled or “special needs.” We are dedicated to giving these animals a loving home where they can live out their lives in a safe and comfortable environment. 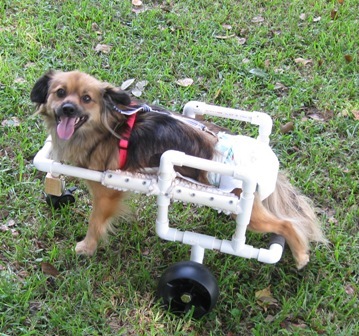 We use the spay/neuter program, NOT euthanasia, as population control and consider a disability only a challenge. Giving these animals a new chance at life has been very rewarding for us and space permitting, helps free neighborhoods of unwanted animals. We depend on our own resources and the kindness and generosity of people who support our ideals to make this possible. Please, join with us in making our shelter an even safer and better sanctuary for our animals by donating to our cause. We believe in the principles that guided St. Francis of Assisi, the patron Saint of Animals. No-Kill is a comprehensive and far reaching movement for animal-shelter reform with the goal of ending the systematic killing of healthy and treatable animals in our nation’s shelters. There are many opinions on the meaning of no-kill; our policy is defined by the notion that every second of life is precious whereby no animal will ever be euthanized for any reason other than to alleviate the animal’s suffering or because the animal is extremely vicious or could pose a health or safety risk. This very serious decision would only be made after the most extensive and careful evaluation by our veterinarian and staff and as an absolute last resort. Animals are not euthanized because there isn’t enough space at the shelter, as population control, because the animal is sick, handicapped, unattractive, or if it has correctable (and sometimes uncorrectable) behavioral problems. These animals may be juvenile, geriatric, deaf, blind, disfigured, disabled or in need of medical attention. Healthy feral cats and dogs may not be socialized or “adoptable” yet, can live out their lives with the help of society or in a safe and controlled environment in a sanctuary or a No-Kill shelter. Others, like free-living, unsocialized (“feral”) cats, need TNR or Trap Neuter and Release. With the help of dedicated caretakers this enables them to live out their lives in colonies without the possibility of having unwanted litters.